Whiplash is a common condition experienced by people involved in car accidents and other impact-related incidents. Anything that causes the muscles in the neck to move forward and back quickly will strain the muscles and cause whiplash. You can even get it on a rollercoaster. The muscle pain of whiplash can lead to a reduction in your range of motion in your neck, as well, especially if it hurts when you move your head to far in a particular direction, or any direction. 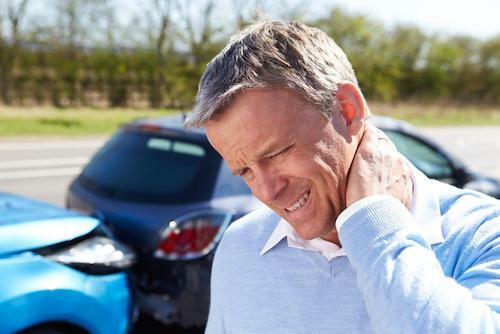 At Whitehead Chiropractic in Austin TX, we regularly treat patients affected by whiplash. Understanding the cause of this problem and what treatments have been most effective against whiplash can help patients seek out the right kind of care for their needs. Some patients are much more susceptible to whiplash than others. Professor of Neurology Peter Behan stated that injuries such as whiplash can bring on multiple sclerosis if the individual is already susceptible. In another example, women have a thinner neck and less rigid joints, which puts them at higher risk for whiplash. I addition, people who use head restraints that are too low in cars can cause a more severe whiplash injury than vehicles that don’t use head restraints at all. However, all patients are at risk for whiplash and must be cognizant of the possibility of whiplash after a car accident occurs. Patients who do not experience symptoms of whiplash immediately after an accident occurs are still encouraged to see chiropractic care, even if their vehicle was barely damaged in the accident. Your local chiropractor can diagnose your condition even before symptoms present themselves. Diagnosis & Treatment: How Does Chiropractic Medicine Treat Whiplash? The first thing a chiropractic professional will do when you come in with neck pain is to diagnose the cause. Sometimes neck pain can be caused by things other than whiplash. Your chiropractor will look at your entire spine, because the pain in your neck may be referred from somewhere else. The doctor will also feel for tender spots, tight muscles, and other sore areas on your neck, and will check your neck's range of motion. Your walking and posture will also be taken into consideration when making a diagnosis. Looking at all of these things together allows your doctor to understand how your unique body moves, how your spine aligns with the rest of you, and more. This information will give your doctor what he or she needs to decide if you have whiplash. If you come in complaining of neck pain after a car accident, whiplash will, naturally be the first thing your doctor will suspect. However, it is important to get an accurate diagnosis. If whiplash is diagnosed, you may get x-rays or an MRI to determine if there were any degenerative changes in your spine before you got the injury. This knowledge will help determine the best course of treatment for you. What Does Our Austin Chiropractor Do About Whiplash? There are several different treatments that may be used, depending on what caused your injury, and its severity. In standard medical settings, whiplash is treated with bed rest and a cervical collar to keep the neck immobilized. However, in a chiropractic setting, patients are treated with a combination of spinal adjustment, stretches and exercises and applications of ice. Spinal adjustment is the most common treatment, but even there, room for variation exists. There are several different types of spinal manipulation that can be used as a treatment for this injury. Treatments can involve the traditional manipulations where the doctor places hands on the vertebrae that are affected by the muscle tension from the injury, and moves those vertebrae back into their correct positions, which relieves muscle tension and whiplash pain. Spinal manipulation is a technique we use to realign the vertebrae and reduce pressure on the spinal cord. Spinal adjustment helps treat subluxations, improve circulation to the injured area. Many patients who are given spinal adjustment start to feel better immediately upon receiving the treatment. Other treatments use gentle muscle stretching, and even a special instrument that applies the necessary pressure to the spine without the doctor pushing on it. Again, the treatment all depends on your unique injury. The goal of treatment is always to relieve pain and eliminate it so you can get your old life back again. Most patients go on to have a full recovery with good chiropractic treatment. At Whitehead Chiropractic, our team will also teach our patients to do stretches and exercises that will help improve mobility, reduce inflammation, reduce muscle tension and help the patient stay mobile during recovery. Patients are encouraged to perform their exercises daily. This active form of treatment helps patients experience less pain overall and regain standard mobility much more quickly than the traditional medical treatments. If you have had an auto accident and experienced neck pain afterward, or if you have sudden neck pain after any event that causes your head to move forward and back quickly, make an appointment for an evaluation at Whitehead Chiropractic.